The 1729-TA Sliding Thru Axle Adapter is designed to allow any Park Tool PRS-20, PRS-21 or PRS-23 Repair Stand to accept 12mm and 15mm thru axle wheeled bikes. ConsVery expensive for what it is. ProsFits my existing work stand . 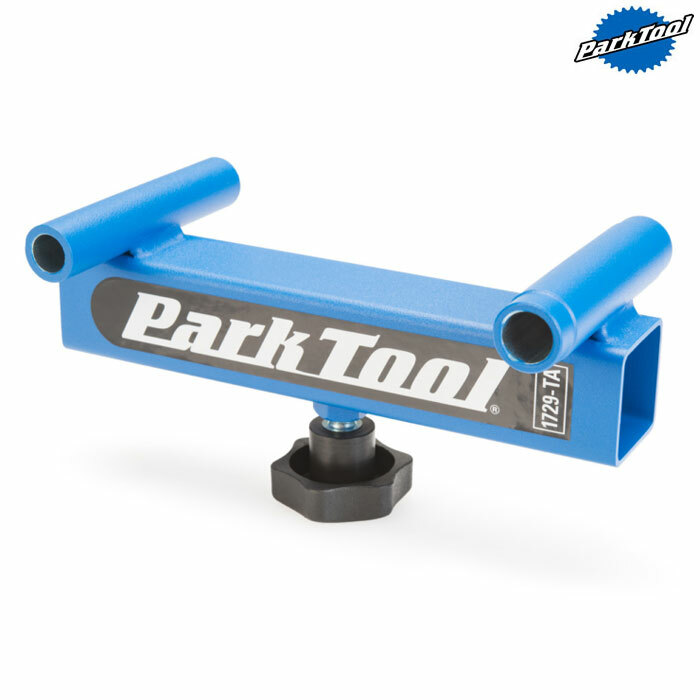 Very well made product.as expected of Park Tool . The only available option other than buying a completely new work stand.Works as expected. What are the dimensions of the actual adaptor? my elite race work stand will not work with Thru axles, I was hoping this might work as it is effectively the same set up, its just will it be able to slide onto the rail?